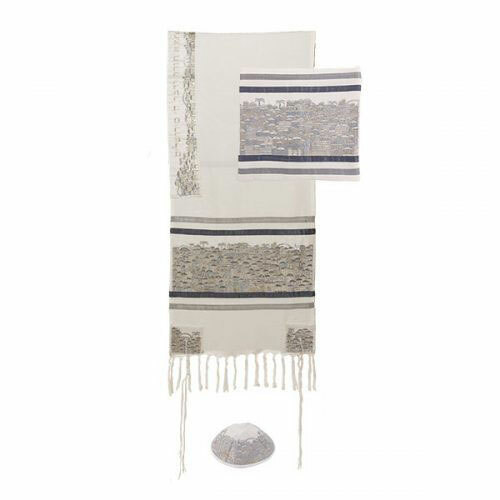 Silver Jeusalem embroidered tallit. Designed by Yair Emanuel. Yair Emanuel designs and manufactures a complete line of functional Judaic artifacts. with an endless stream of expressive creative art in rejuvenating color, Yair Emanuel never fails to surprise and tickle the fancy of those who crave fine Judaica. You will have the option to personalize this set as you proceed to checkout.